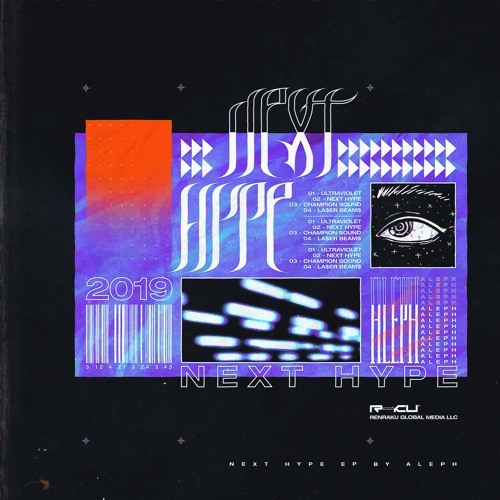 @aleph_sound Art: https://www.instagram.com/matt.psd/ Blending classic motifs with modern production ethos, Renraku presents NEXT HYPE, a 4-track ep by ALEPH. Following his debut on Mat Zo’s imprint, MAD ZOO, and several widely successful sample packs on splice, ALEPH brings his self-described “Apocalypse Rave” sound to the next level. Whether it’s the break ridden analog bass music “ULTRAVIOLET”, the subharmonic grooves of the titular “NEXT HYPE”, the deconstructed-then-refined riddim in “CHAMPION SOUND”, or the wall shaking warehouse-on-acid “LA$ER BEAM$”, NEXT HYPE brings a far future sound to electronic music built from the remnants of the past that will keep you moving from now til 20XX. WTF is happening here ?